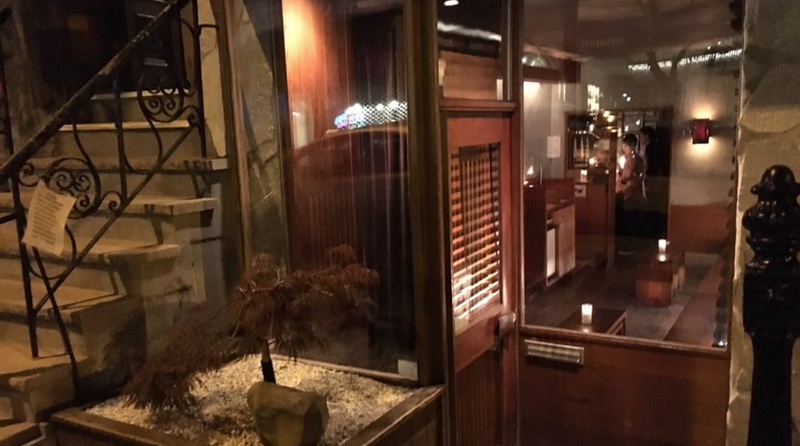 It’s been almost 3 months since our beloved Chef Takahashi’s departure from BLUE RIBBON IZAKAYA in Lower East Side. He left to join BLUE RIBBON SUSHI on Sullivan. 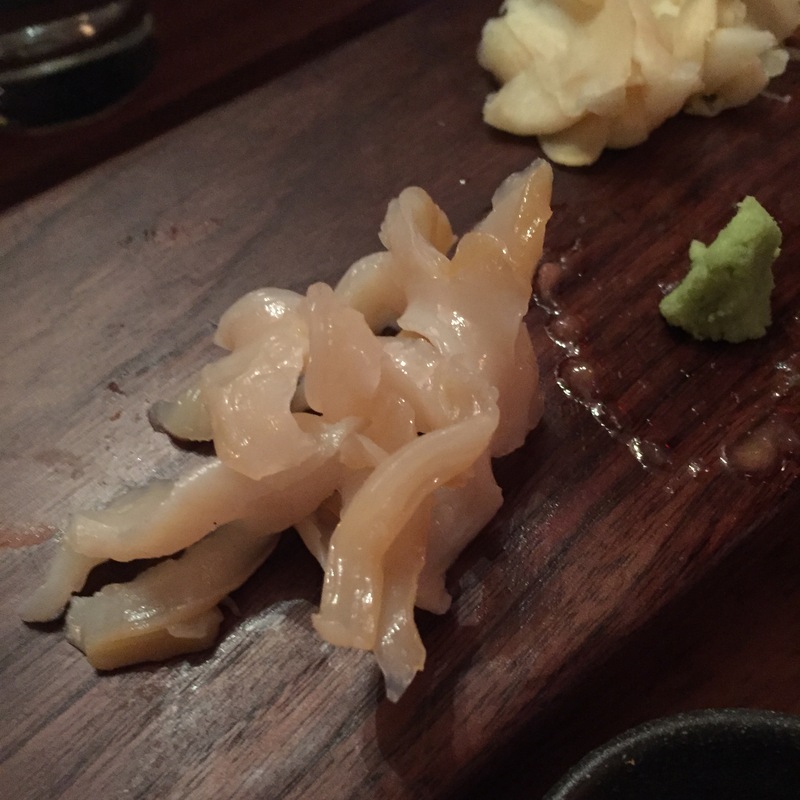 If you’ve ready my previous write up on BLUE RIBBON SUSHI, you’ll know I’m not a huge fan. 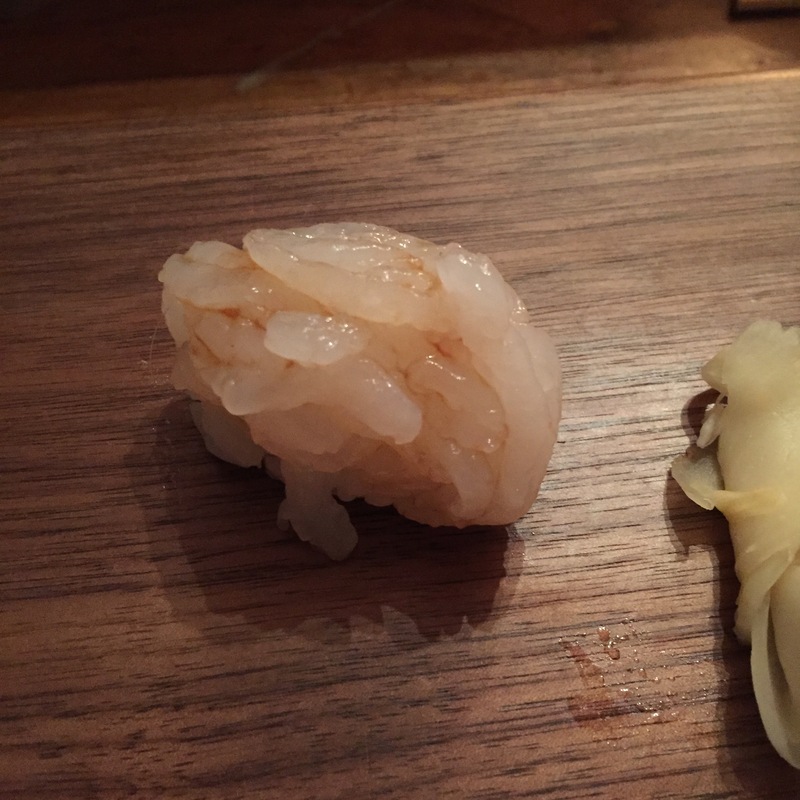 Two MAJOR dings on Blue Ribbon Sushi. One, they are always packed, yet they do not take reservations. 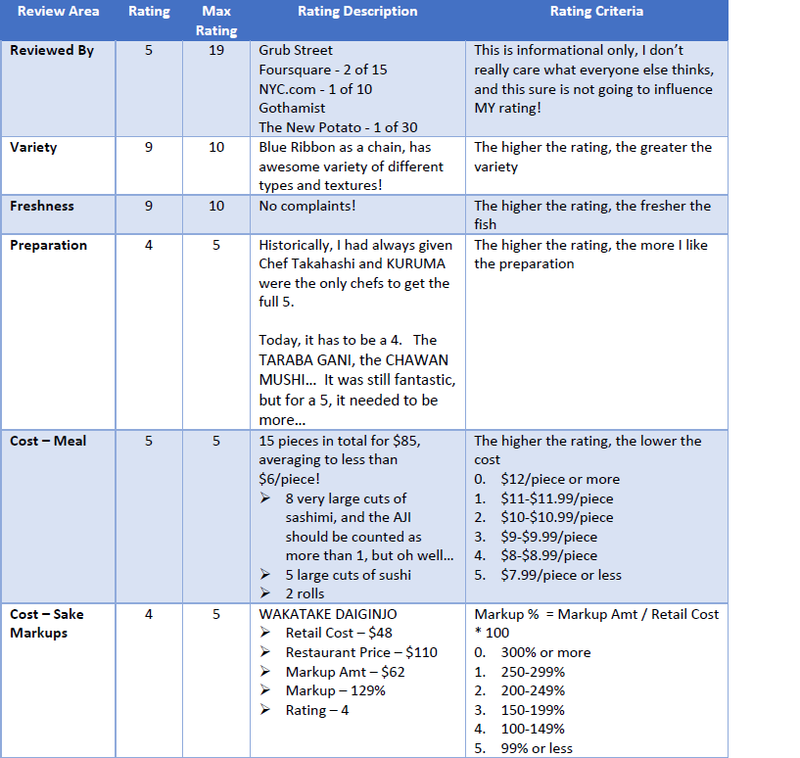 Who doesn’t take reservations? And in a city swarming with restaurants, who is willing to stand in line for 30-40 minutes? If you get over that part, waited them out, then there’s ding number two, the lack of a real omakase. They only do omakase platters. 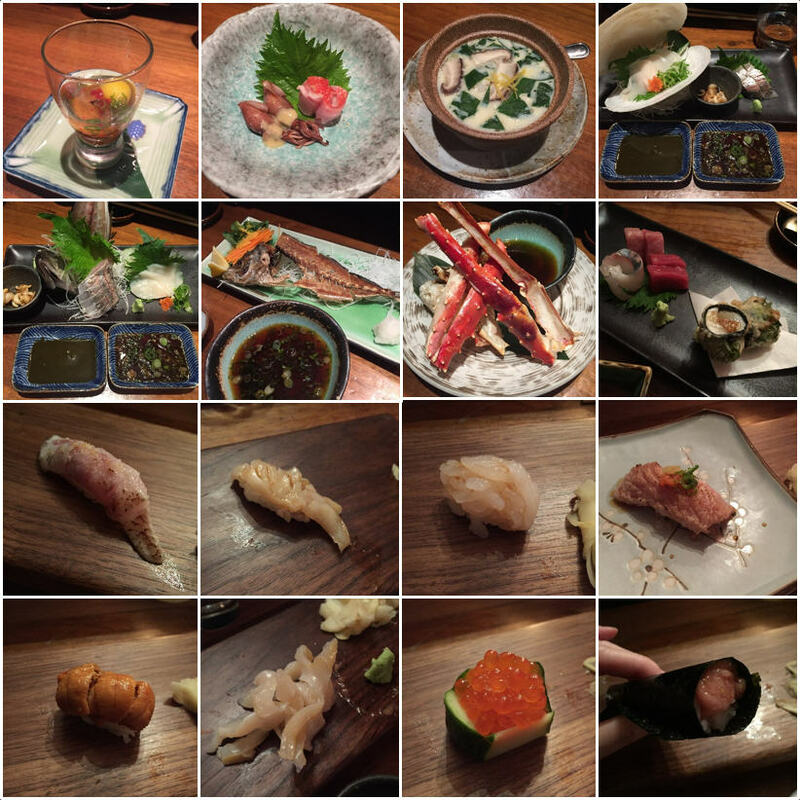 If you want an omakase platter, there are a few places great for that, at a fraction of the Blue Ribbon Sushi price. I wouldn’t come here for the platter. We arrived right before 7PM. The host said it will be roughly 30-40 minutes, which really means 40-50 minutes. They don’t have a bar, but do have a waiting area with just a few seats, where they will allow you to order a drink while you wait. If it wasn’t for allowing us to drink while we wait, if it wasn’t for having already said hello to the chef, we would have probably threw in the white flag. We polished off a full bottle while we were waiting. That’s how long it took! 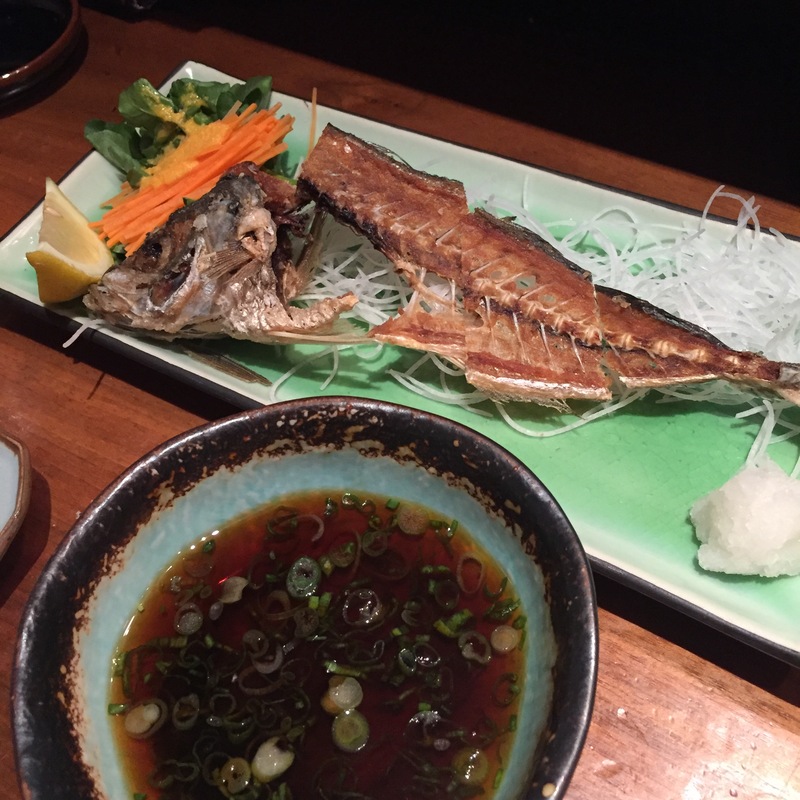 HOTARU IKA (Firefly squid) with miso glaze, and KINMEDAI (Golden eye snapper) with sea salt – delicious! 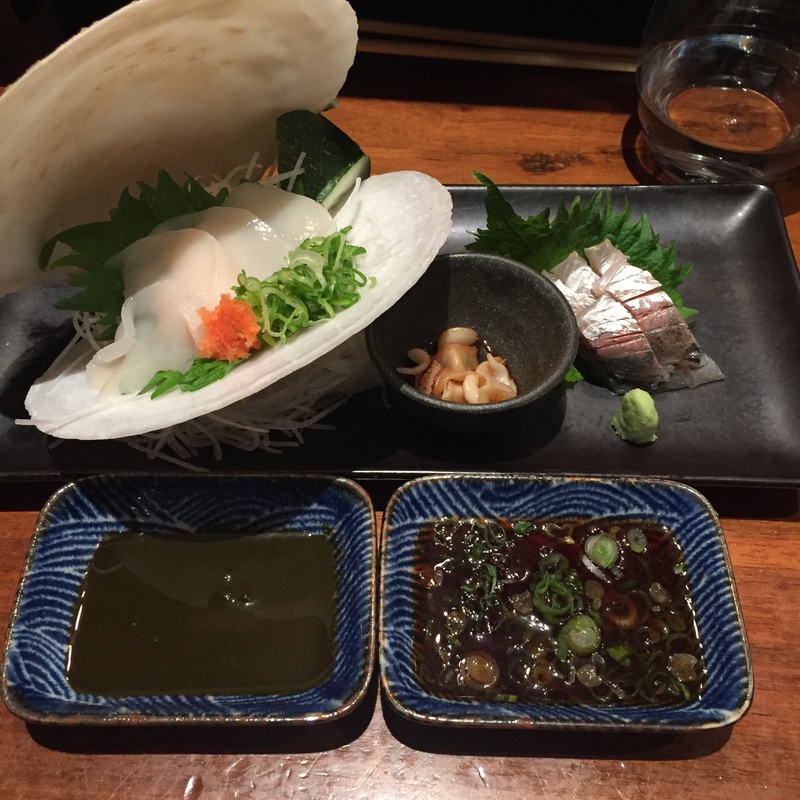 Whole Live HOTATE (Scallop) and AJI (Horse Mackerel) – served with a scallop liver sauce (left), and a ginger, scallion ponzu (right). Both very good. Blue Fin AKAMI (Lean Tuna) – I sometimes feel like the odd man out with Tunas. Everyone else seems to think, the fattier the better, I’m not a huge fan of OTORO (super fatty tuna), more so a CHUTORO (medium fatty tuna), but sometimes, I almost prefer a good Blue Fin AKAMI (lean tuna). Really good! 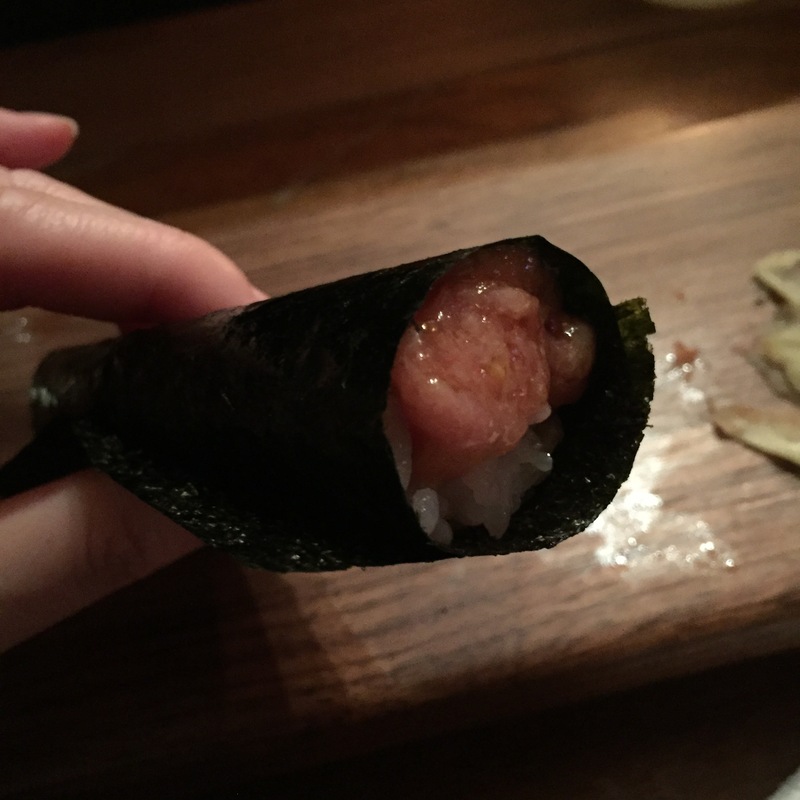 Deep fried UNI, HOTATE, SHISO, NORI rice-less roll – My most favorite thing that chef makes! Something that no one else does, deep frying this UNI/HOTATE/SHISO combo with no rice, to a magnificent crunch, but where everything is still completely raw. Outstanding! 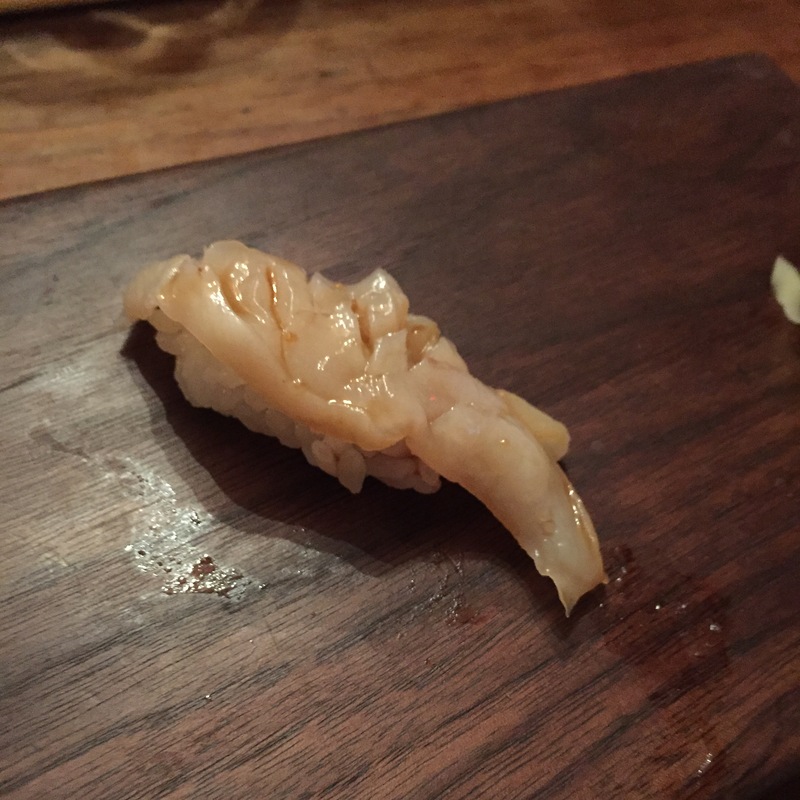 MIRUGAI (Giant geoduck clam) – I recently learned that not very many sushiyas stock MIRUGAIs, that it’s gotten to be very expensive lately. Who knew. This one was fantastic! 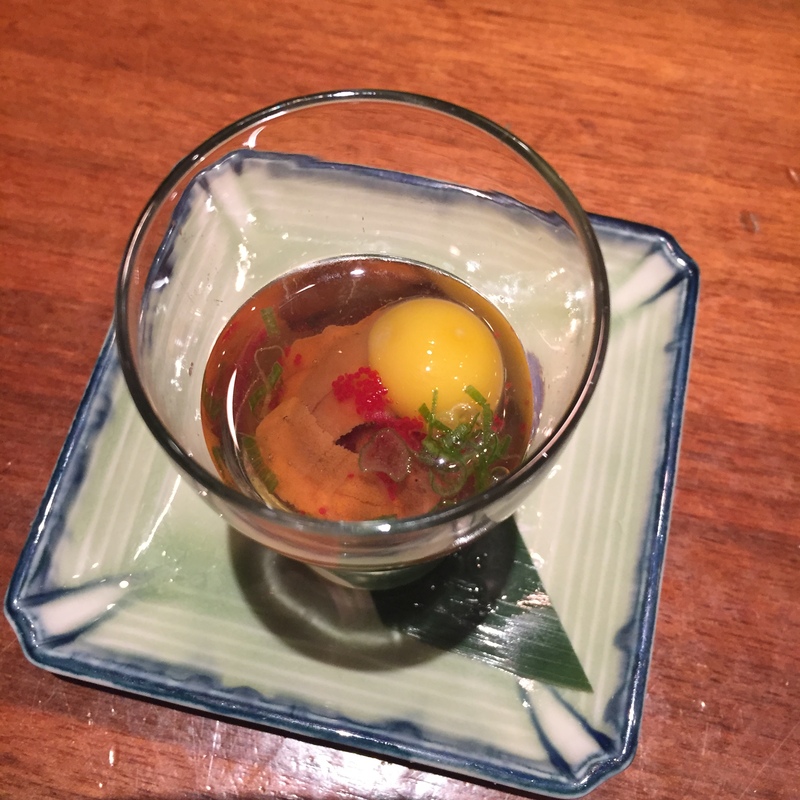 SHIROEBI (baby white shrimp) – It was getting late, and my sake goggles were in full effect. I couldn’t tell from afar if it was IKA or EBI, but boyfriend did! He’s quite the sushi connoisseur these days. 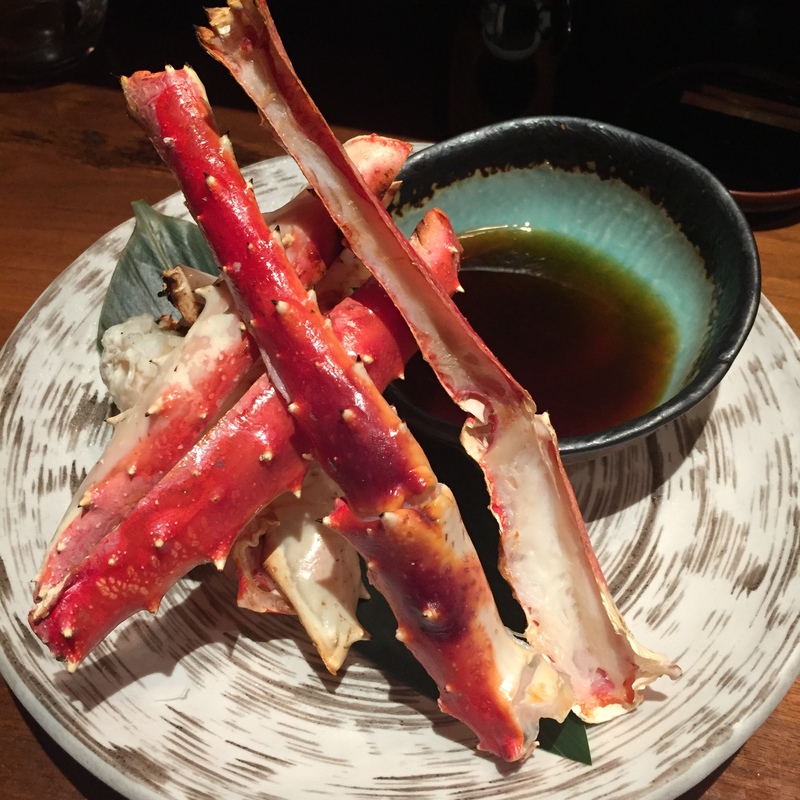 LOVE me some SHIRO EBI! 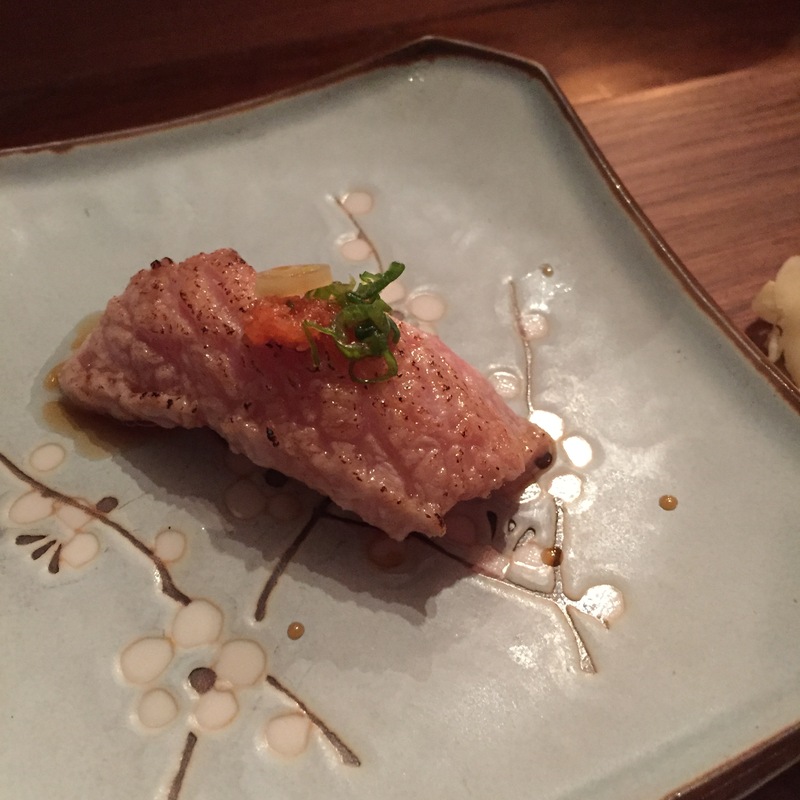 OTORO ABURIed – I need to talk to some chefs and understand the purpose of ABURIing (torching). Is it to cut the fat? Or yield more of it? 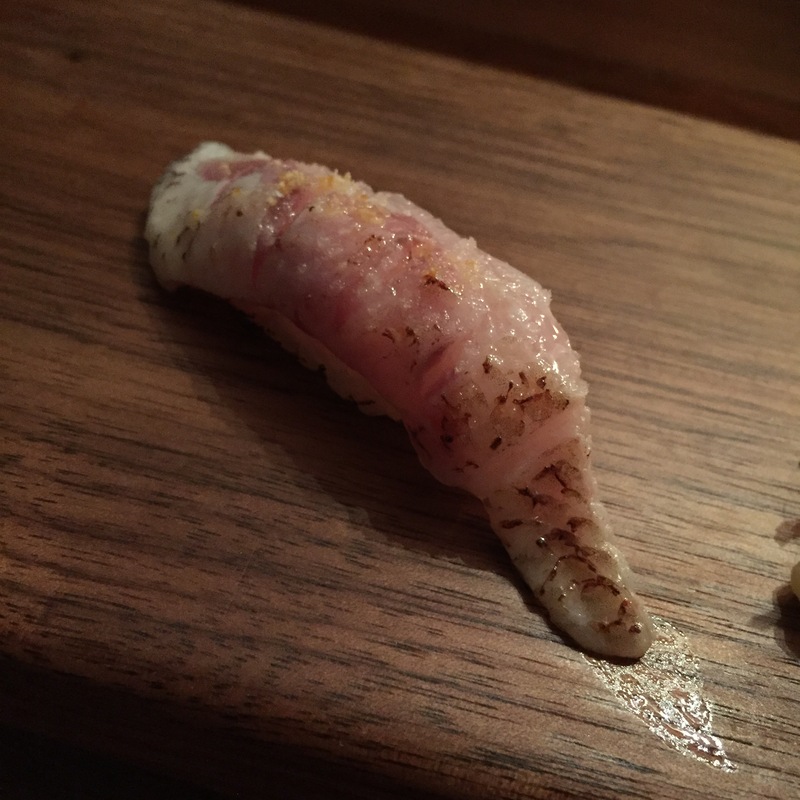 When they ABURI my OTORO, I feel like it makes the fat all melty and yummy. Versus when it’s not ABURIed, I often feel like it leaves a film of grease in my mouth. BUT, when they ABURI my KINMEDAI (golden eye snapper), I feel like it makes it fattier, and tastier. What gives? 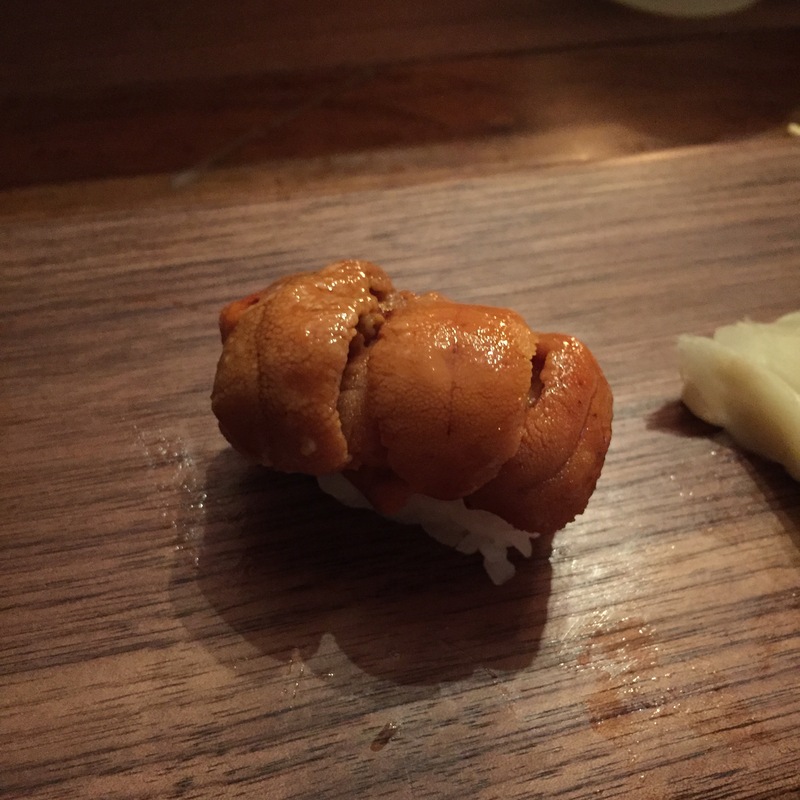 HOKKAIDO UNI – What an epic fail of a year for Santa Barbara uni. 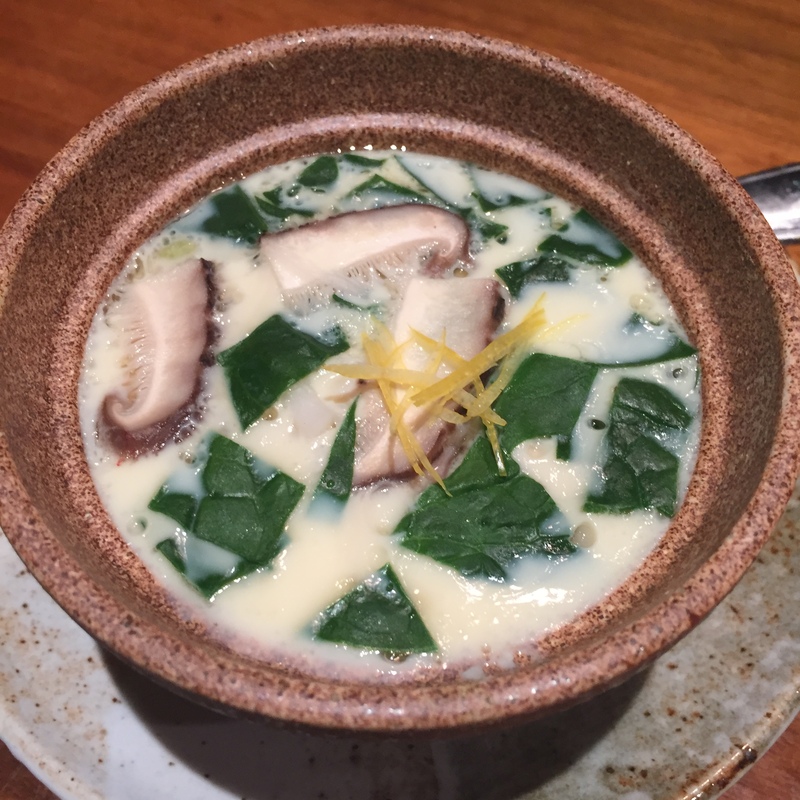 In the past, it was what we looked forward to, this year, HOKKAIDO and Maine kicked Santa Barbara’s a*s. Too many restaurants, sushi and non, now incorporates UNI into their menus. It’s made Santa Barbara outrageously expensive, and for whatever reason, diminished the quality. Booo! 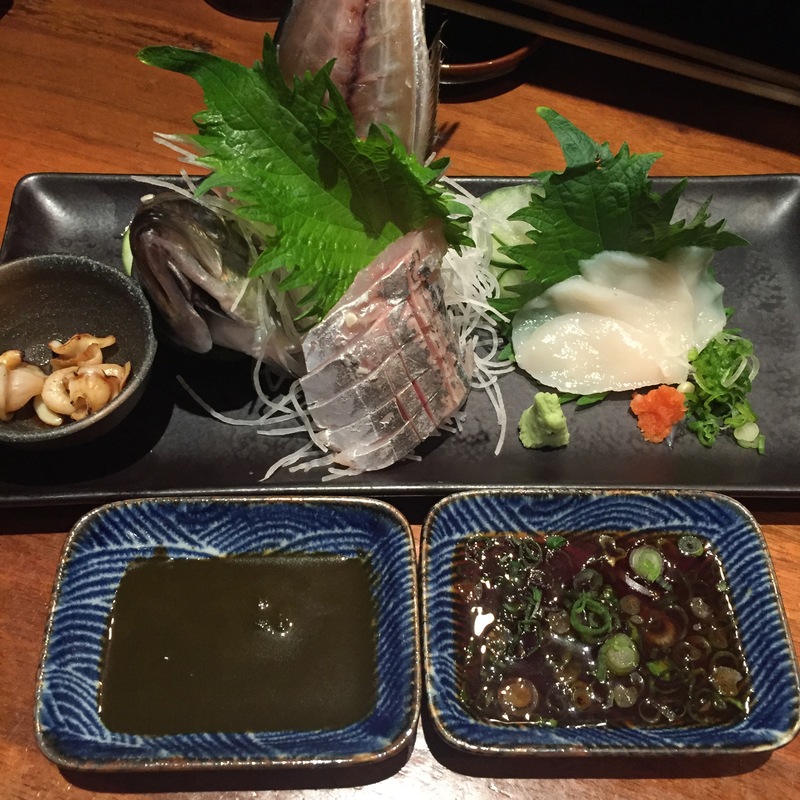 MIRUGAI sashimi – time for repeats, and yes, it was THAT good! 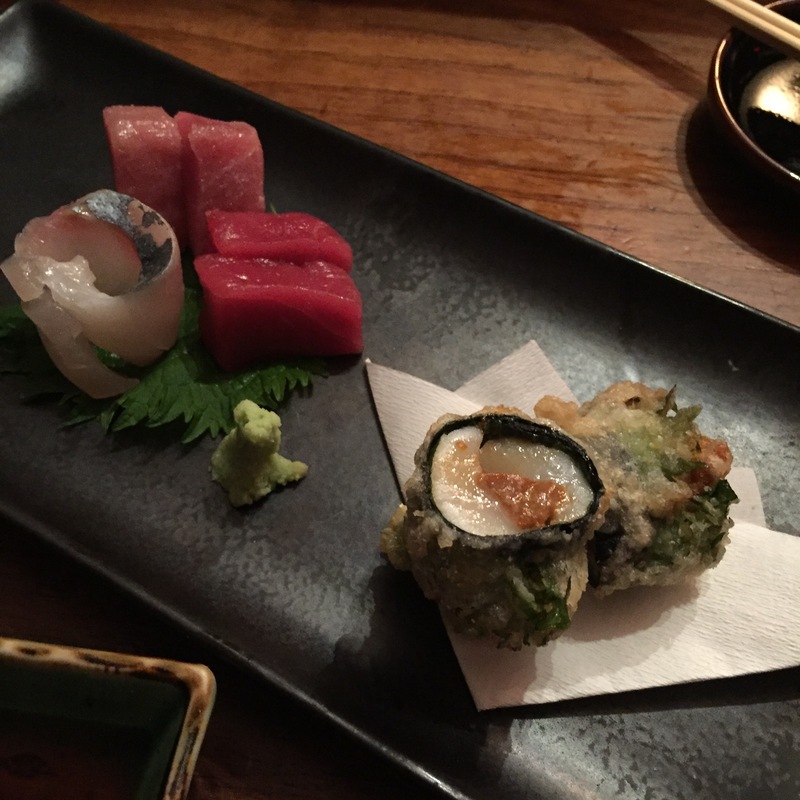 CHUTORO and TAKUAN hand roll – Always a fantastic last piece! 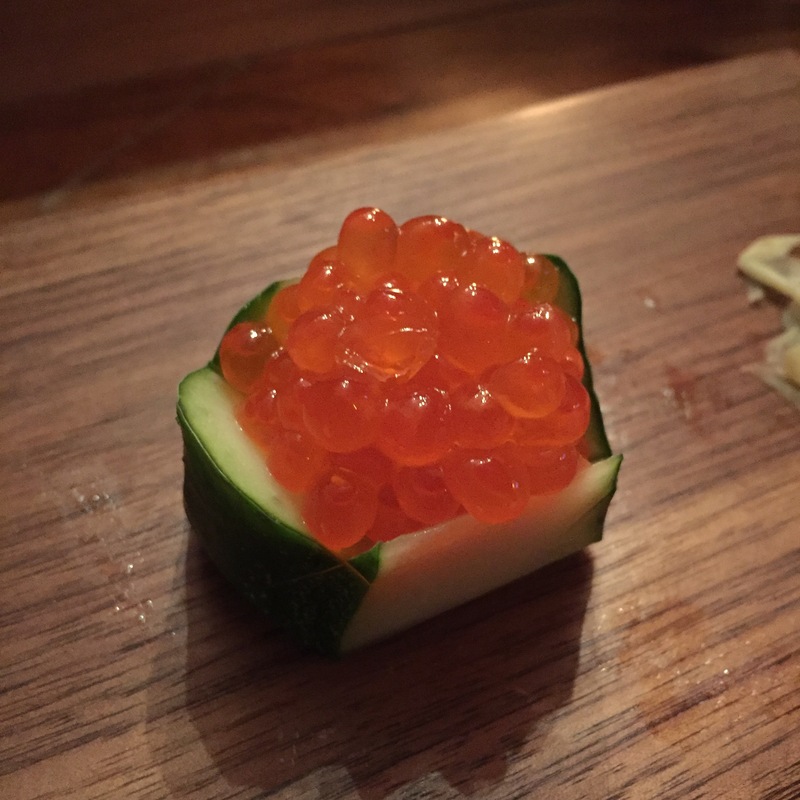 Now that Chef Takahashi has arrived, Blue Ribbon Sushi is getting there… We ended up getting the “special card” to make a reservation, so at least issue number one is solved. 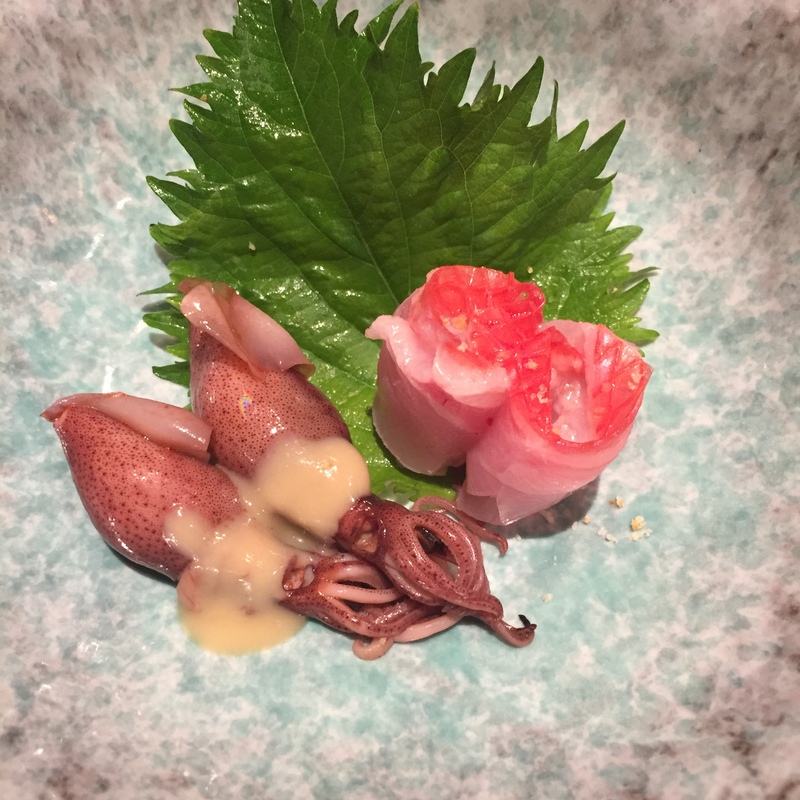 The meal itself still needs work, the omakase is at least a true omakase. BUT there are still negative differences… We’ll be back though. For sure!